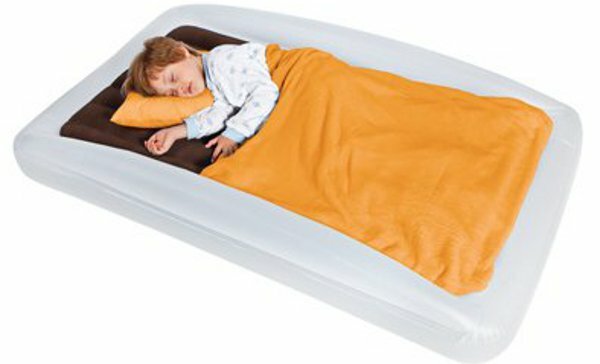 There are a million and one reasons why toddler travel beds are awesome – and here is an equally awesome toddler travel bed for use in the outdoors, new to Australia. Many, many moons ago we first featured the fabulous travel beds from The Shrunks, and now we can tell you where you can get the new outdoor version locally. But first, let me take you through these great cosy and secure travel beds for toddlers. 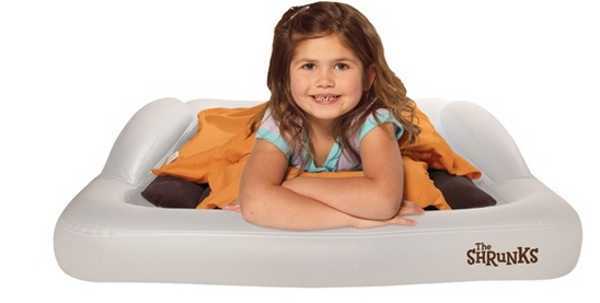 The Tuckaire Toddler travel beds for indoor use are a fantastic option for those travelling, having sleepovers or even for children who are making that great transitional leap into a big bed. 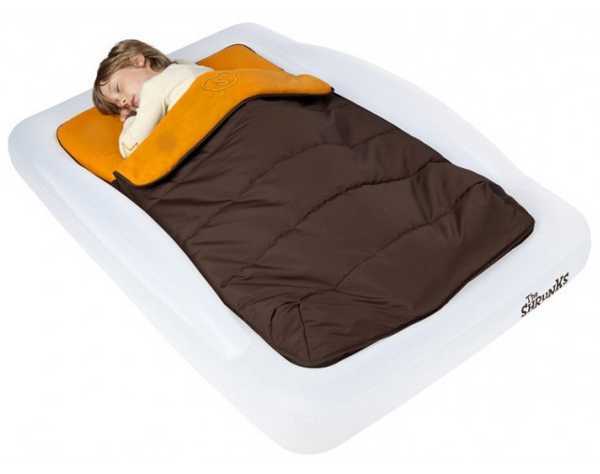 They have anti-roll security edges -anyone who’s ever tried to get a wriggly toddler to sleep on a regular air mattress will know why this is such an important feature – and a soft, flocked sleeping area. The sheet-tuck system is pretty ingenious, it allows for sheets (it fits standard cot sheets) and blankets to be tucked into the inner mattress, making it much more like a regular bed. And it comes with a compact foot pump, for easy inflation and deflation. The beds are suitable for children from the age of two and weighing up to 68 kilograms. UrbanBaby is now stocking much of The Shrunks range, and the toddler beds are available for $99. Also available is the twin travel bed (for children over four) for $110. New to the range is the outdoor option, designed for camping and other adventures. 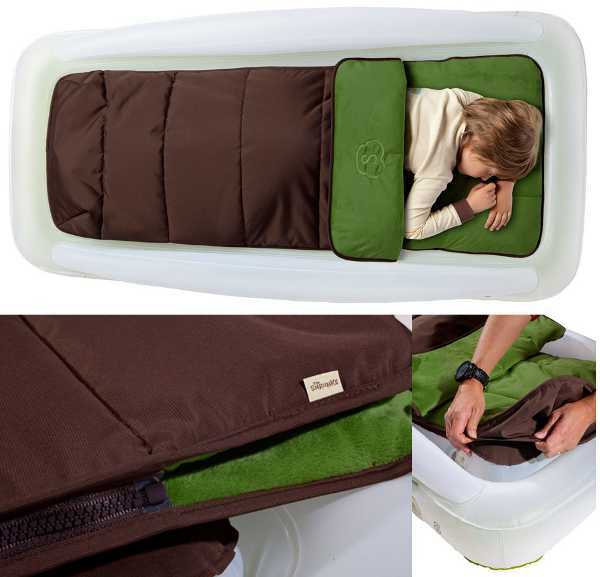 The Shrunks outdoor toddler travel bed is made from more robust materials but includes the same tuck-in feature and anti-roll sides, as well as a tuckable sleeping bag with removable zippered top. The beds fit easily into a camping tent, and have a rugged carry bag so they’re great to take on holidays – and the sleeping bag can also be used separately. This outdoor option is $199, also from UrbanBaby.